The Africa Center for Strategic Studies cohosted a daylong symposium on “National Security Strategy: Development, Resourcing, and Implementation,” in partnership with the U.S. Embassy in Lilongwe and the Africa Center Malawi Community Chapter, September 10, 2013, at the Sunbird Capital Hotel in Lilongwe. The symposium convened a group of 60 security sector experts, including government officials from the United States and Malawi, members of the Malawi Community Chapter, members of the Malawi National Assembly, members of the National Security Policy Working Group, academics, and NGOs. The symposium discussed the importance and structure of a national security strategy as well as the role the legislative branch plays in the strategy’s implementation. 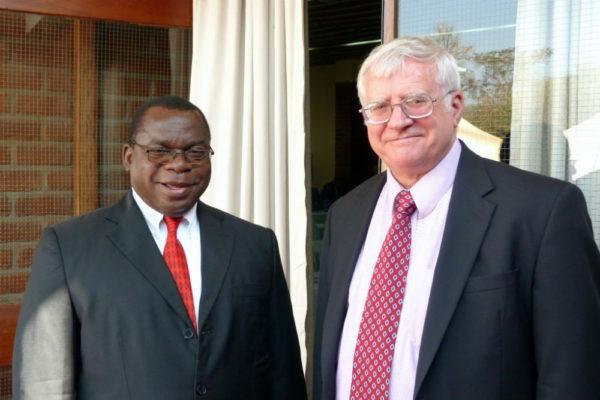 The timing and content of the Africa Center program were intended to support Malawi’s ongoing development of a national security strategy, with a target completion date in the next several months. 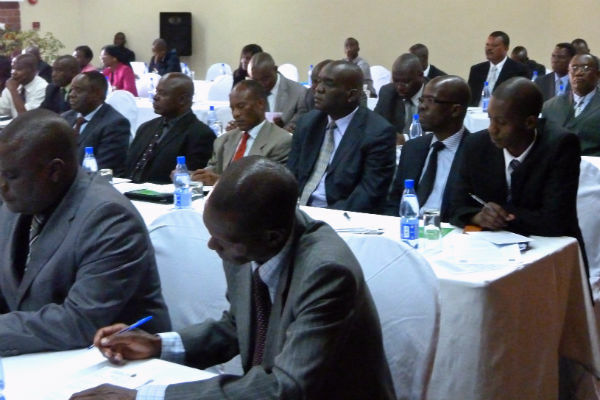 A diverse Malawian working group has been convened from across the security sector and stakeholder agencies, including representatives from the Ministries of Defense, Foreign Affairs, Home Affairs and Justice, Malawi Police Service, Immigration Department, Office of the President and National Intelligence Bureau, to hold consultative sessions and write a working draft with the input they have collected in numerous consultations. The President of the Africa Center Malawi Community Chapter, Major General Rodrick Chimowa opened the symposium program by explaining the Chapter was created by Africa Center Malawi alumni in 2012 as a way to continue having discussions about relevant security issues. He also pointed out that the Chapter doesn’t have any political affiliation. Africa Center acting director Mr. Michael Garrison said it is imperative that security sector professionals and the members of the civil society in Malawi be provided an opportunity to interact and reflect on ways to create a national security strategy that strengthens democratic governance in the nation. Representing the U.S. government at the opening, Ambassador Jeanine Jackson, U.S. Ambassador to Malawi, stressed the importance of the meeting. The daylong workshop also featured several briefings on National Security Strategy and Policy. Assistant Professor Thomas Dempsey, Africa Center Academic Chair for Security Studies, discussed the importance and process of developing a national security strategy. He said that in many African countries that are have gone through or are in the process of developing an NSS policy, there is evidence of great efforts being made to organize consultative session with different government agencies, the police, military, civilians, minority and religious groups, etc. In contrast, he mentioned there is often less consultation for similar NSS development in the United States. Using examples from the United States, France, South Africa and Liberia, he outlined steps for creating a national security strategy and discussed how it can be implemented. 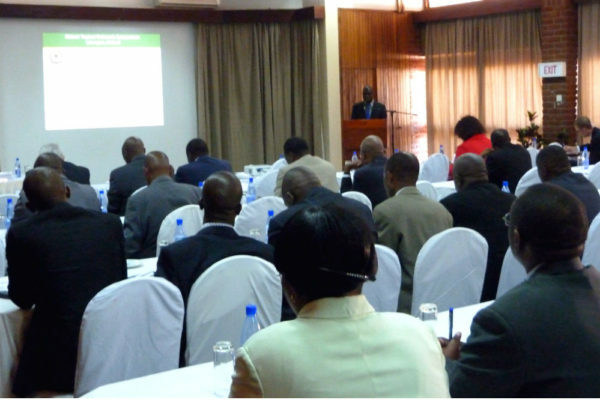 Explaining the role of the legislative branch, he said that while Malawi’s National Assembly is not yet involved in the process, Assembly members will be involved when the policy draft has been completed and approval is sought after for budget and implementation. Major General Clement Namangale, Chief of Staff of the Armed Forces and member of the Malawi National Security Policy Working Group, offered a candid and informative presentation on how the Malawians view national security strategy and the progress they have made thus far. NSS involves “a coordination, packaging, and use of all instruments of national power to secure a country’s core national interests by dealing with the core threats,” Maj. Gen. Namangale said. “Malawi’s NSS must be supported by four pillars that constitute our national instruments of power, namely, diplomatic, economic, military and others.” He also discussed at length the challenges that are being encountered but concluded that there are many successes to share, including: commitment exists to successfully complete the task; input from consultative meetings is being included in the draft; there is better interagency cooperation and dialogue; and practitioners, academics, politicians are getting involved. 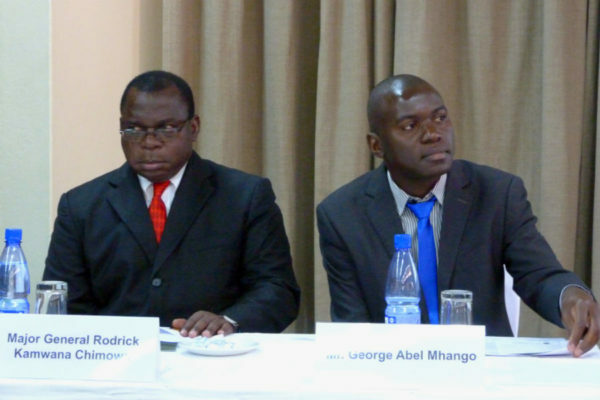 Major General Rodrick Chimowa, President of the Africa Center Malawi Community Chapter, hoped that the symposium has emphasized the need for an efficient National Security Strategy for Malawi, one that is adapted to citizens’ wishes. General Henry Odillo, Commander of the Malawian Armed Forces, closed out the symposium, saying it was a special day for the military and for Malawi as a country. He emphasized the transparent and consultative process being implemented by the NSS Working Group during the development process and encouraged them to continue their successful practices. The presence of the National Assembly members added great value to the discussion, he said, adding that he was impressed by the level of engagement by all present at the symposium. He also thanked Maj. Gen. Chimowa for his Africa Center Community Chapter leadership and tasked the Chapter to continue to host activities and events to discuss security challenges for the security sector professionals in Malawi. The symposium was part of the Africa Center’s Topical Outreach Program Series (TOPS), which allows the Africa Center to maintain an active network of relationships with community groups in nations across Africa. During an Africa Center TOPS visit, a small academic and outreach team conducts a two- or three-day visit to nations with active Africa Center communities once every one to two years to participate in workshops and symposiums.